Offering SMALL, personalized YOGA classes ARE in FERNSIDE and Rangiora unless otherwise stated. SOME CLASSES ARE PRE-REGISTERED with some casual openings. Monday 7:00pm-8:00pm Pregnancy Yoga, Old Rangiora Hospital. Hatha Yoga is a system of pranayama (breathing practice), physical movements through normal range of motion and strength building poses that affect the physical, mental and emotional body. In ancient times it was taught one on one and not as a group practice, to prepare the student for long periods of meditation. All physical seated poses and movement practices of yoga, especially when combined with breath, fall under the umbrella of Hatha yoga. Different teachers have coined names for the style of practice they have refined (ie. Kripalu, Integral, Iyengar, Power, Ashtanga, Vinyasa, etc.). On an entry level, physical (Hatha) yoga creates awareness of physical body and personality (emotional/ mental bodies). This can lead us to awareness of the subtle worlds beyond the physical/personality as the student develops. Most forms of modern hatha yoga practices, especially those that have influenced the Western world, can be traced back to Tirumalai Krishnamacharya who tuned into the individual and gave them a practice that would benefit their karma best. Many of those whom he gifted with individual practices took their practices to the world and attached their own name to it. Mixed Hatha integrates techniques from different classes. Sunrise Yoga is a mixed hatha yoga class. Beginner's Power Yoga is a breath focused, basic yet strength building, warming, sequential style of Hatha yoga. The room is kept warm which enhances suppleness in the muscles and allows the body to move more freely. The poses are linked by a series of postures called "vinyasa" and combined with rhythmic ujjayi pranayama (breath). There are several similar Hatha Yoga practices following this formula including Ashtanga and Baptiste. Gentle Hatha Yoga looks at overcoming the limitations of the physical body through a harmonious sequence of poses combined with conscious breathing practices. Emphasis is on posture. Restorative practices are explored. Pregnancy Hatha Yoga is for 2nd or 3rd trimester women. It is a scientifically designed class to prepare the body for the birth process and nourish a positive experience of pregnancy. During the childbearing process a woman's body is immersed in the creative energies. It is important to acknowledge and honour this. This form of Yoga is a well-rounded style of Hatha (asanas, pranayamas, bandhas) Yoga. The focus is on heart centered teaching with emphasis on breath, spinal alignment, development of self awareness & mother’s intuition, and connection with the baby. TESTIMONIAL: “I really enjoyed your classes, and I feel they prepared me for what's ahead more than the official ante-natal classes I attended! You created a lovely atmosphere in every class.“ Zoe H, Prenatal Yoga student. Restorative Hatha Yoga is a slow paced class emphasizing breathing and supported holding of postures. A profoundly relaxing system that seems to 'reset' the nervous system. The effects can linger on for days. These are integrated in the Hatha Yoga series each term. It may include indepth instruction on breath, prana, koshas, doshas and chakras. CORE integrity is a new class where we explore fascial lines of tension and ease to create a stronger foundation. This mostly floor based yoga series will work with the fascial lines (Thomas Myers - Anatomy Trains, and other inspired research) to create equality in function and more fluidity in movement by working through old injury/habit patterns and increase core strength and stability. Retreats allow for an integral connection to one's self. Explore the tranquility of nature, and the renewal effects of daily integrated yoga practices. Natural therapy at it's best! During the course of each retreat there are periods of silence (free time) to allow for self reflection. Sitting quietly or slowly moving silently through nature is encouraged. Locations for retreats vary. Mantra yoga is practiced in a state of stillness to allow the consciousness to move into the inner (subtler) planes of consciousness. Mantra practice, which is the tuning into Sacred sound, is respectfully followed by a significant period of silence to allow the invoked energy to come into our conscious being. The Western personality best integrates the Sacredness of this practice with silence. This is an advanced form of yoga taught at a beginner's level. 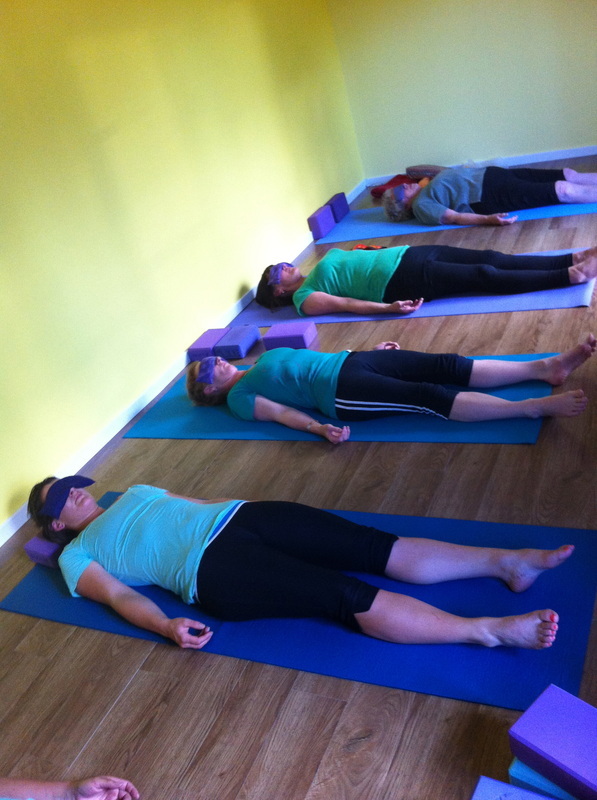 The guided practice of Yoga Nidra is sometimes called meditation. Yoga Nidra begins with pranayama (breath), then dharana (concentration to remain awake) then pratyahara (the withdrawl of the senses) which are the preparatory steps towards meditation (dhyana). Meditation is not normally practiced in the reclined position as it tends to lead to the subconscious state rather than a superconscious state such as meditation. MEDITATION is one of the branches of the yogic tree and the most important for development and expansion of the consciousness, especially in this age of materialism and other distractions. There are many, many kinds of meditation and many techniques. All start with Pratyahara, the withdrawal of the senses and few get beyond this without much effort and practice. However, through simplicity, perseverance and an inner connection to the Divine energy, we can restructure our internal mechanisms to create a practice that provides stability and balance to our life. The position of the spine is important for meditation that is why an upright position is recommended for practice. When the spine is horizontal the consciousness is most likely to stay in a subconscious state. "I am a retired Physiotherapist. I tried to keep reasonably fit by going to a Gym 2 or 3 times a week for abut 12 years doing weights and cardio exercises. Before that I used to bounce on a trampoline type lymphasizer doing exercises to music most mornings at home. On reaching 80 I realized my joints were stiffening and no longer very flexible so I decided to give Yoga a go ! I joined a Gym class which combined Yoga with Pilates and found I was absolutely hopelessly out of my depth it was far too fast and full of wonderfully fit young people whose athleticism was far beyond my capabilities. Everyone was very kind BUT !!! Finally I have found Marina !! I am amazed by her profound knowledge of Anatomy, by her care and the attentive and the way she constantly corrects postures and positions, by her helpfulness in adjusting blocks and bolsters so that one can achieve a modification of the required posture. Really she is a MASTER !! Her classes are small so that one receives a lot of individual attention. I wish I had found her when I was 43. I am on my second course with her and already I have more ease of movement. Marina continues to challenge and encourage me and her classes leave me with a great feeling of well being. I have actually increased my range of movement. Marina has a very kind and caring personality with a wacky sense of humour. 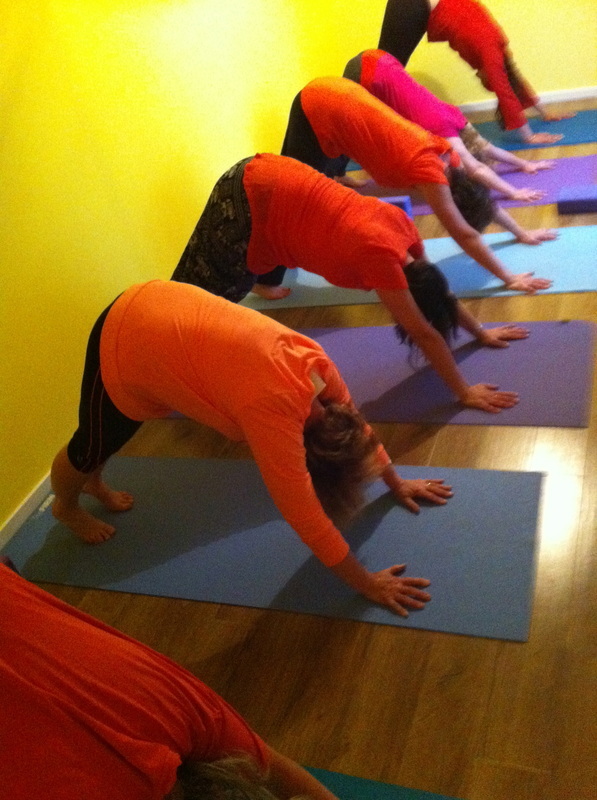 I would be happy to speak to anyone who is contemplating joining a Yoga class in Canterbury."